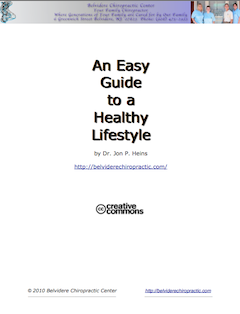 Degenerative joint disease (aka osteoarthritis) is estimated to affect nearly 27 million people in the United States. While degenerative joint disease is more common in individuals over the age of 50 many assume it is a normal process of aging. However, there are people well into their nineties who have no clinical or functional signs of the disease, as well as documented cases of it in individuals as young as in their 20’s. The reason it’s seen more often in those over the age of 50 is that it is a relatively slow progressive process that takes decades to actually show any visible signs on any diagnostic imaging tests such as: X-rays, CAT scans, or MRIs. This degenerative process starts as an abnormal amount of ‘wear and tear’ that is caused as the result of a misalignment in the normal positioning of the bones that make up the involved joint and causes a premature degeneration of the joint’s cartilage which results in a reduction in the normal motion and functioning of the joint. This makes the involved joint more susceptible to continual flare ups of inflammation and pain with normal everyday use. As this degeneration process worsens, the pain from the flare ups of inflammation become more frequent and intense, the joint loses more motion and function, until eventually the joint fuses. Most of your joints in your body are called synovial joints, where a ligament surrounds the joint forming a capsule that has fluid in it called synovial fluid that cushions and lubricates the joint. When the degenerative processes occurs in these joints it’s termed degenerative joint disease or osteoarthritis. 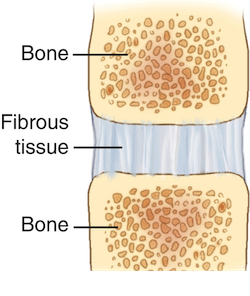 However, a few joints in the body are called cartilaginous joints and instead of a joint capsule with fluid in it, the bones are separated only by a special type of cartilage called fibrocartilage (as found in the discs of your spine). When the same degenerative process occurs in these joints, it’s then called degenerative disc disease. Whether it’s degenerative joint and/or disc disease your body responds to the increased stress and starts laying down bone forming spurs. 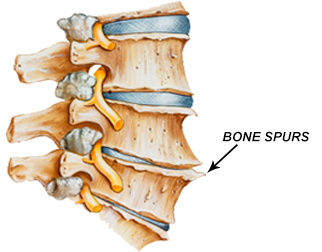 If these spurs are located in your spine and put pressure on the nerves as they exit the spine between each vertebrae or on the spinal cord itself then it’s called stenosis (which literally means closing). So whether it’s degenerative joint disease, osteoarthritis, degenerative disc disease, or stenosis it’s essentially all the same process, it just depends on the location and type of joints involved and, if it’s in your spine, whether it’s affecting the nerves and/or spinal cord. Not very pretty is it? But there is hope, a complete case history and chiropractic spinal examination can detect any spinal misalignments you may have and, depending on how bad they are and how long they’ve been there, can either reduce or even correct them, which can potentially prevent, reverse, stop, or slow down this degenerative process. Here at Belvidere Chiropractic Center we’ve seen hundreds of cases of degenerative disc and joint disease and have gotten great results even in those with stenosis and after those who have had failed back and/or neck surgeries. 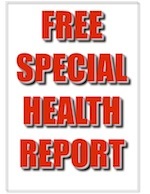 You’re welcome to look at a few Case Studies and read our Testimonial Page to see for yourself then, if you happen to live or work anywhere near the our office, click HERE to sign up to get a Free Special Health Report and get a certificate of incredible value for professional services on your first visit at our office to see if chiropractic care might be able to help you.